The Brandon Buzz is very pleased to welcome Jakub Marshall to the writing team! Jakub is a music student at Brandon University and will be contributing often to The Buzz. This week I caught up with Felipe Munoz to discuss his DJ nights at S.U.D.S., and where he hopes to take this project. Felipe is a DJ and producer under the name TubeScreamer and a member of a collective called Cerkuz Familia that presents shows in both Winnipeg and Brandon. I’ve attended the last couple of these ‘EDM nights’ and had quite a wild time dancing to some hard hitting Drum and Bass and Jungle tunes. Brandon University Jazz Piano Prof. Michael Cain also takes the stage as SOLA to spin some seriously groovy hip-hop tracks as an added bonus for all of us admiring music students. I had a blast, but I couldn’t help but wonder if this is the sort of music that would fit best in a club setting as opposed to the relatively small space of our student bar. Explaining, Felipe said that he has “been blessed by SUDS and their wonderful staff” and that “some (other) venues prefer to maintain their strict music code”. The two major nightclubs in town, Houstons and Roadhouse, do indeed have fairly strict routines. Any Brandonite knows how a weekend of clubbing works in The Wheat City. Thursday you go to Houstons for ladies night, maybe get free cover. Friday you head over to Roadhouse (hopefully after attending a SUDS social), and then Saturday it’s back to Houstons. The venues will sometimes hold special events, but these are often on their off days. The routine, and the resident DJs are mostly set in stone. MEME (standing for Manitoba Electronic Music Expo) is a multiday festival held right in the downtown core of Winnipeg, in the past they’ve had major international DJs such as Noah Pred (Berlin) play. These events are always well attended, and are an increasingly important part of the Canadian music scene overall! I asked Felipe how he sees the Brandon scene evolving over time. “The way I see it this scene rests in the hands of a supportive community of friends that support (eachother). This is pure love and so there is always this small but constant support that helps nurturing the scene. With more efforts like this. In the future I see a very interesting and diverse electronic music scene in Brandon.” I think this gets to the heart of what is great about alternative music. It’s all about community, and nurturing eachother by supporting whatever creative projects your friends may be working on. Check out TubeScreamer, SOLA, DJ Red and many others this Saturday Feb. 13th at 8pm for “Electric Valentine’s 2.0” at SUDS. There will also be clothing, hemp jewelry, and the artwork by Kaytlyn Burke for sale. And it's free. 'For Esme' Return To Their Prairie Roots: Playing at The City Centre Tonight! Earlier today I got on the phone with Nathan Crook of the Toronto band For Esme. Originally from Brandon, and one of my musical idols growing up, it was really fun to catch up! Nathan Crook, Dave Thiel, and Martha Meredith have been making music together for 2 years and in that time they have had some pretty incredible experiences. I grew up knowing Nathan and Dave and idolizing them as my local musical heroes. Going to see Nathan play guitar with Take With Audio, fake ID in hand, was an enlightening experience for a young musician, (these guys have long hair, play guitar, and people like them! And it’s all they do? I want to do that!). I knew Dave because he used to do sound for Until Red when we were throwing community centre shows. Being a first-rate Brandon University music student, he could also be seen on any given weekend playing with a variety of local musicians. Nathan and Dave were part of a wonderful community of musicians in Brandon who got together and jammed nearly every night. These jams were an amazing experience - when I was lucky enough to be invited to one, I made some friendships in the hallowed halls of ‘The Loft’ that have continued for many years. In fact, when Nathan first moved to Toronto, he and Martha needed a bass player on short notice. So Nathan just called his old friend Dave and asked, “do you want to learn these tunes?”. Dave said yes, they did a short tour, Dave moved to Toronto and the rest is history in the making. Another highlight for the band was playing Wayhome festival in Toronto. 30 000 people were in the audience and the band not only got to play on the second biggest stage, but they got to take in the surreal experience of sitting backstage alongside greats such as Neil Young and Alt-J. Having conquered the East, For Esme has now set their sights on the rest of Canada. Booked at Festival de Voyageur on Friday, they decided to fill out their Manitoban stay with a few other gigs around their home province. They’re planning on returning to Western Canada for a full tour in a couple months. Beyond the business, Nathan still loves coming back to Manitoba, “it’s been so warm in Toronto that it hasn’t felt like winter. But now I’m in Minnedosa, looking out over the valley and watching the snow come down. It’s beautiful!" Tonight, they play at 10pm at The City Centre. Don’t miss it. For the tenth year in a row, The Beetles are getting together and putting on a rockin’ show at the English Pavilion. Growing up English, Mo has a good reason to be so involved with the pavilions and The Beetles. “I love watching the dance floor fill up with people from all over Western Manitoba… and I love watching people stuff themselves with English food, and just enjoying the culture that I love so much." 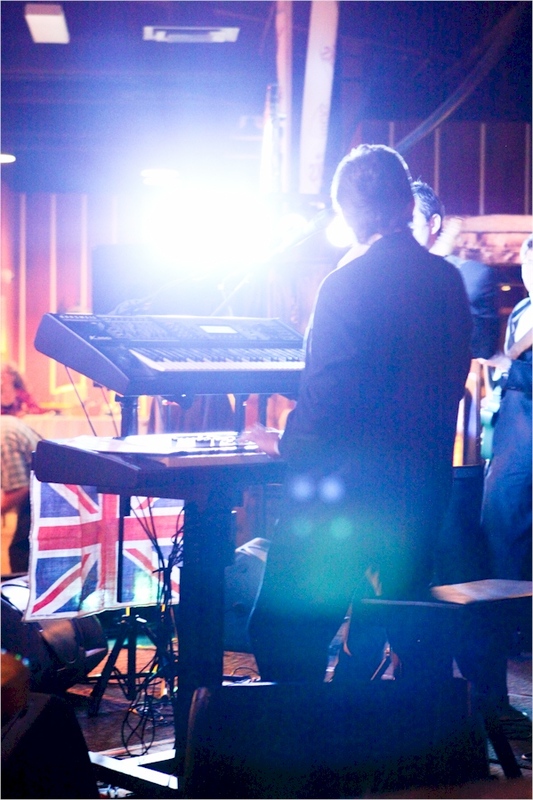 There’s a few new things to look forward to at this years English Pavilion; Chris Ghidoni of the Whitemud Blues Band is singing the Women of British Pop, from Amy Winehouse to Dusty Springfield and CP Express will be taking audiences on a trip through The British Invasion. Mo sees the festival growing bigger and better in the coming years, “having been designated a ‘cultural event’ by the city has really helped, and separating from the City of Brandon and becoming a non-profit will hopefully lead to increased funding.” Mo thinks that the extra funding should be put towards allowing other, new cultures to have their own pavilions in years to come. The English Pavilion is always a favourite at Winter Festival and this year’s looking especially good! The Beetles have been working on updating their rep and committing to even more accurate renditions of Beatles’ songs; even digging into their live repertoire for more interesting arrangements! When you’re doing the culture crawl this weekend, don’t forget to stop by and catch The Beetles! They close out every day of the pavilions, alternating sets with Chris Ghidoni until it shuts down at 1am. For more detailed information on the English Pavilion, and the Winter Festival in general, visit their website or our event listings. Tom Foolery was first put together by Matt Zimmerman and Larry Roulette to entertain at the Winter Festival way back in January 2011, and since then they’ve played their Celtic serenades for audiences all over Western Canada. Highlights from the 2011-2013 run of shows include their first performance at Winter Festival 2011, St. Patricks Day celebrations at Clancy's 2011 and 2012, Summer in the City Festival, Hanover Ag Fair, and headlining St. Patricks Day at The Kings Head in Winnipeg 2013. However, the group hasn’t played in a while because let’s face it, life gets busy! But this year at both the Scottish and Irish Pavilions, Tom Foolery will be getting back together; ‘I think we just needed a good excuse,” said Matt Zimmerman, singer and guitarist. The group’s fiddle styles spans jigs, reels, breakdowns, airs, hornpipes, and strathspeys, and if you know what all of those mean then please email me at brandonbuzz@gmail.com to explain. Thank you! However, Matt’s love for celtic music brings an Eastern-Canadian flavour to the dance floor, playing classics from Great Big Sea, Spirit of the West, drinking songs from the Irish Rovers, as well as spirited songs from The Pogues and Mumford & Sons. This year you can catch the action at the Scottish Pavilion from 10pm-close on Thursday and on Friday & Saturday at 930pm and 1030pm respectively. The all start band will feature local legend Grayson Ross on the fiddle, Brandon’s own Cody Iwasiuk (who now plays with The Bros. Landreth), Dylan MacDonald and Roman Clarke of The Middle Coast. Check out the Winter Festival website for more info and our own Event Listing for other pavilions and events. Starting this Wednesday, January 27th, The Middle Coast will be hosting a Live Band Karaoke and Open Mic Night at The Prairie Firehouse. Participants can request songs for Live Band Karaoke on the event's Facebook group and sign up for an Open Mic slot at the same time. "We wanted to give people an easy way to get out an play at a great new venue," said Dylan MacDonald, guitar player and vocalist for The Middle Coast, "selfishly, we also want to play with some new people! You get tired of playing with the same two dudes 150 dates a year." The Middle Coast has a list of Live Band Karaoke songs ready to go for anyone who wants to sing, including classics like Hit Me With Your Best Shot, Escape (The Pina Colada Song), Proud Mary, and First Cut Is The Deepest. The full list is available here. "I'm excited about the opportunity to create a musical community around this event," says Roman Clarke, drummer, through a mouthful of salted nuts, "there's so many great musicians in Brandon I've never played with! It's time." 830pm: Anyone who has signed up for Live Band Karaoke performs. 930pm: Anyone who has signed up for Open Mic performs. Onwards: The stage opens up for a jam. As usual The Prairie Firehouse will be cookin' up some delicious dishes and funky cocktails for your gastrointestinal enjoyment. So head on down, every Wednesday, and hang out with The Middle Coast, hear some songs, play some songs, and have the best Wednesday ever.